SOLD. A jaunty litle teapot with a curling Japanese inspired handle. The intersection of the blue glazed surface with the unglazed red clay creates a dynamic diagonal, interupted by a spiral that echoes the shape of the handle. 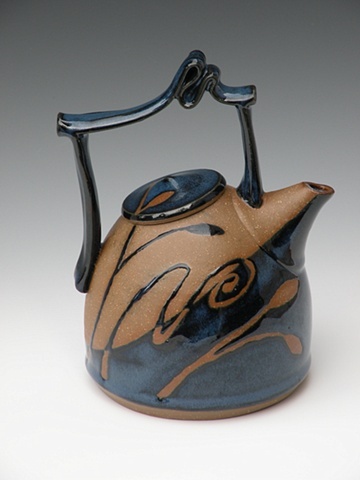 A food safe interior glaze makes this teapot functional as well as beautiful.